Inflammation plays a key role in improving the ability to relearn motor skills lost as a result of spinal cord injuries, such as grasping objects, new University of Alberta research shows. U of A spinal cord researchers Karim Fouad, a Canada Research Chair in the Faculty of Rehabilitation Medicine, and Abel Torres Espín studied inflammation and rehabilitation training in rodents and discovered that creating a mild inflammatory response improved a rat's ability to relearn how to pick up pellets months following a spinal cord injury. "Time is of the essence," explained Fouad. "It's usually impossible at the early stages to train at a high enough intensity to regain motor functions. If patients can't work on recovering those skills effectively, those skills are lost forever and cannot be regained." Fouad's findings could have significant impact on how nervous system injuries are treated in the future, to improve patient recovery. "If we can elicit similar responses in patients, this has huge potential to improve recovery," explained Fouad. Loss of hand function is a leading cause of adult disability in Canada and can be devastating to patients and their families. Fouad's team also ran studies to explore training intensity, and found the amount of reaching and the intensity matters to increased recovery. 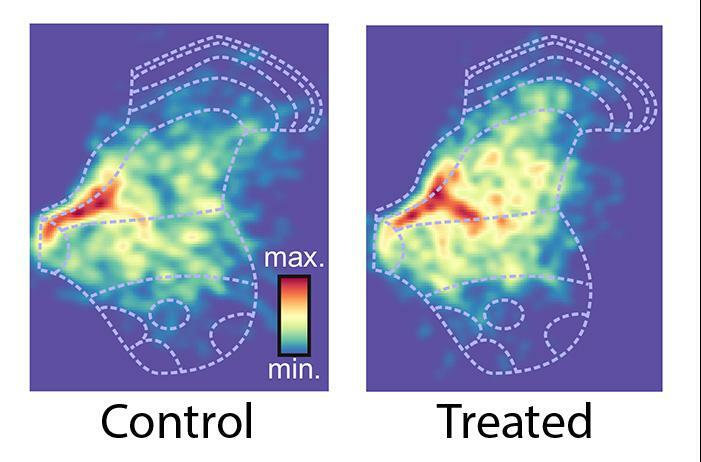 For the rats that were training more frequently, recovery was markedly improved, as mapping of stained nerve cells showed an increase in connectivity. "After an injury, there are thousands of axons that are all trying to reconnect," said Fouad. "Rebuilding tends to be random, but with training it can be more deliberate and successful." In order to develop a clinically relevant approach to modulate inflammation, Fouad's group is currently exploring which specific aspect of inflammation is key to nervous system rewiring. Fouad's proof-of-principle, Eliciting Inflammation Enables Successful Rehabilitative Training in Chronic Spinal Cord Injury, was published in the July issue of Brain, the international journal of neurology. The study was supported by Wings for Life (Austria) and the Canadian Institutes of Health Research.